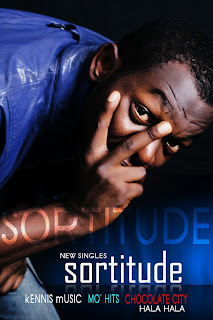 Kennis Music Mo’Hits Choco City, a new song from 27 years old Singing sensation and producer, Sortitude, who’s hailing all the way from Imo state Nigeria. This guy has quite a habit of creating monstrous hits that dwells safely in the confinements of his Reverbnation page. His debut single, Hala Hala was a success considering the fact that it was widely felt and received among music lovers in and around the south-east back in 2010. The man has certainly not sat back and relaxed. On the song, he encourages fellow up and coming artistes to ‘keep on keeping on’ and that there’s still a chance at success regardless.